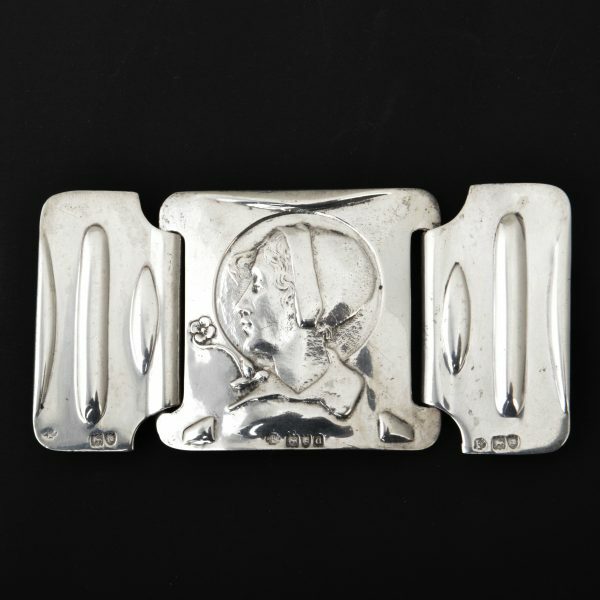 For sale is this fabulous silver buckle by Kate Harris and made by William Hutton & Sons. 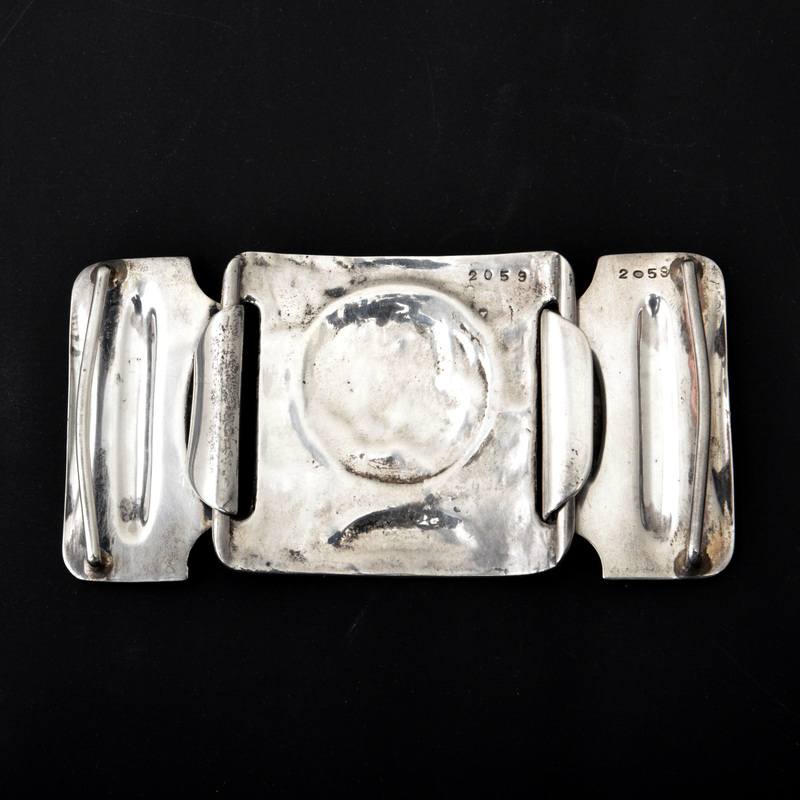 It is a heavy gauge of silver and in excellent crisp condition. 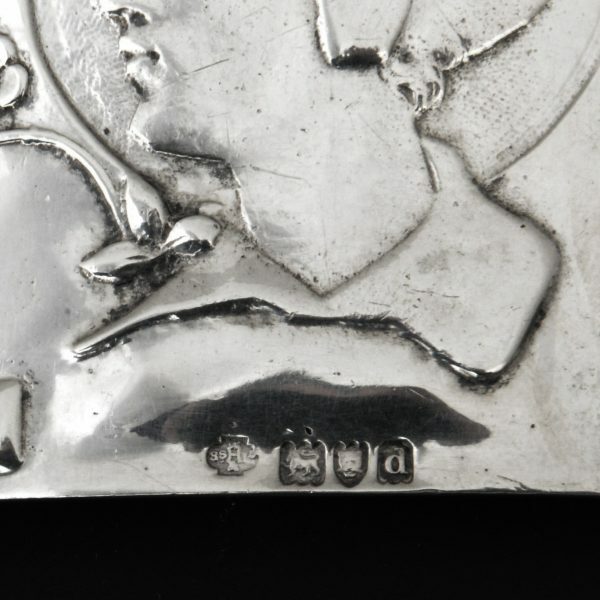 An early example dating to 1899.